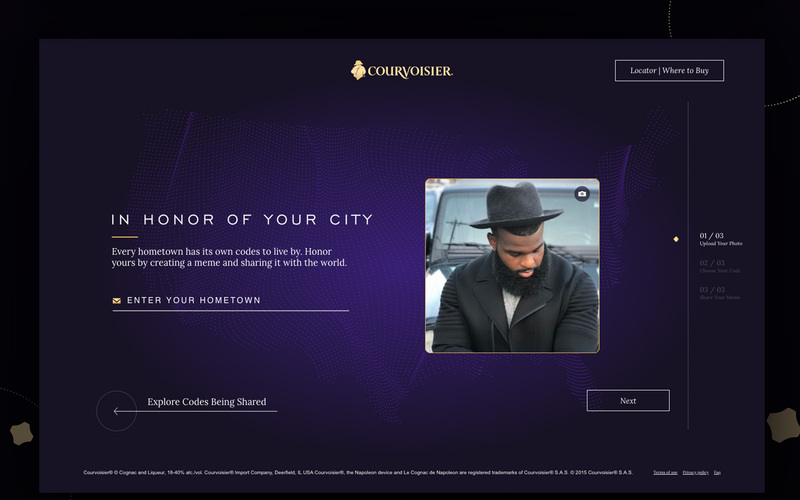 The Honor Your Code campaign microsite defines “user generated content.” The site encourages users to create a meme by uploading a photo, adding their hometown, and choosing a “code” that they respect and honor. 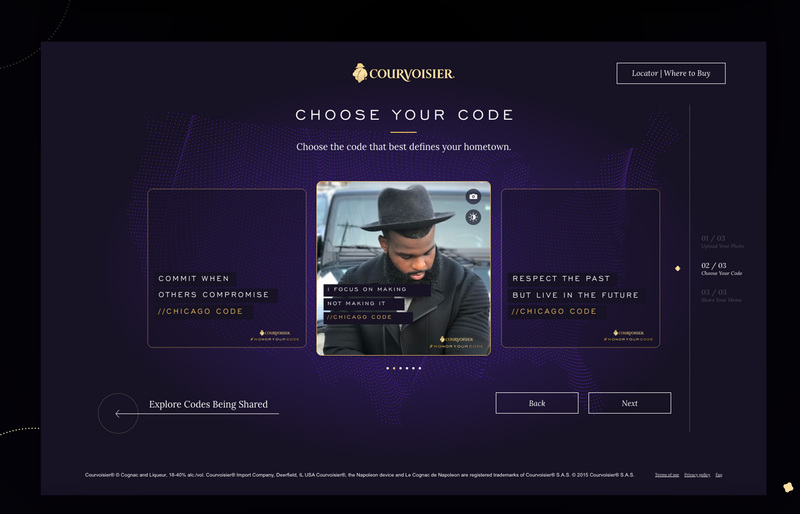 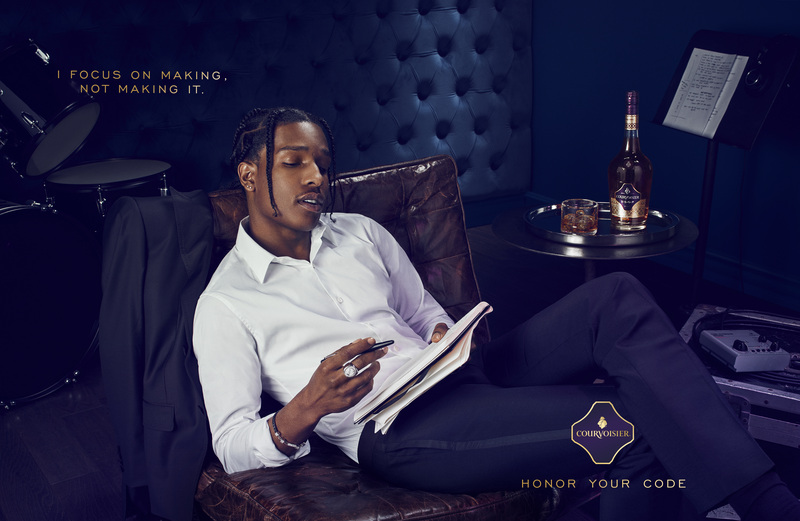 Courvoisier believes that by “honoring your code,” you feel the weight of that responsibility and realize that a code to live by is indispensable to achieve great things in life. 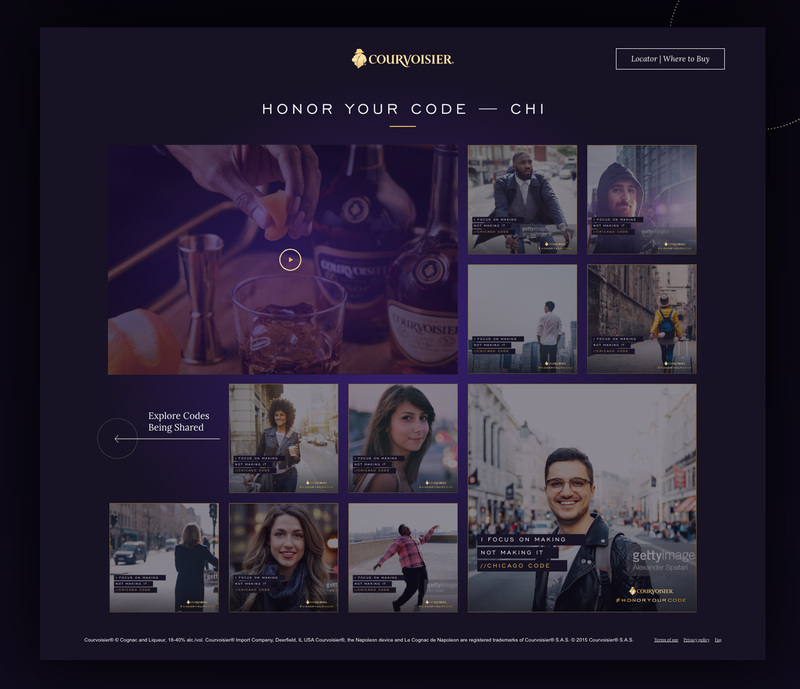 Memes are then shared to social media, and ingested into the CMS by an Instagram API to display in scrolling mosaic grid. 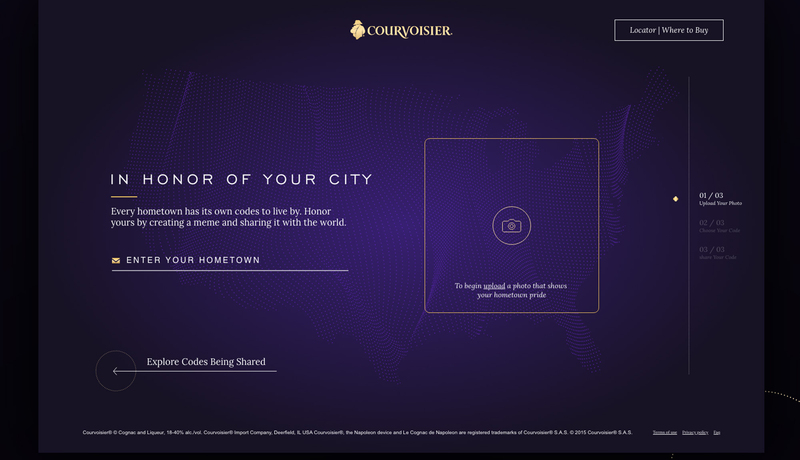 Users can also explore the “Heatmap” by clicking on cities across the country to view other codes being shared, possibly even their own post featured! 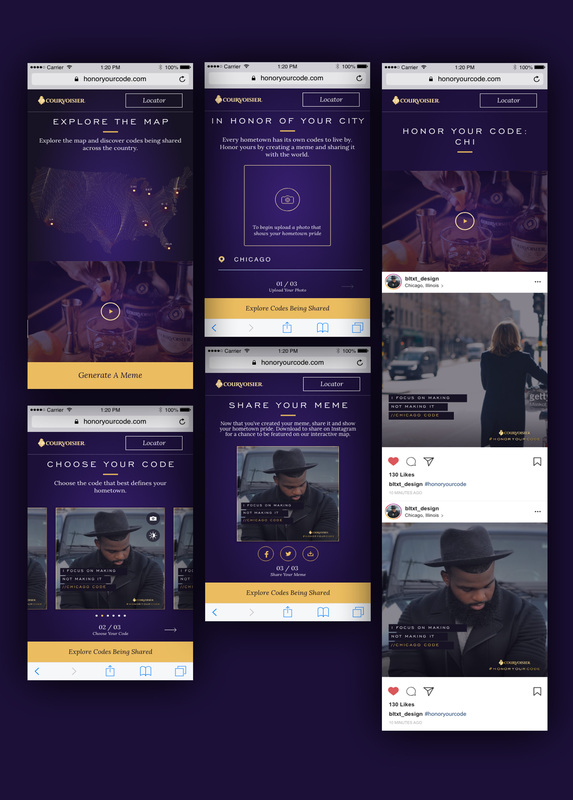 The Honor Your Code site on mobile provides for a unique user journey with more of a “native social” experience. 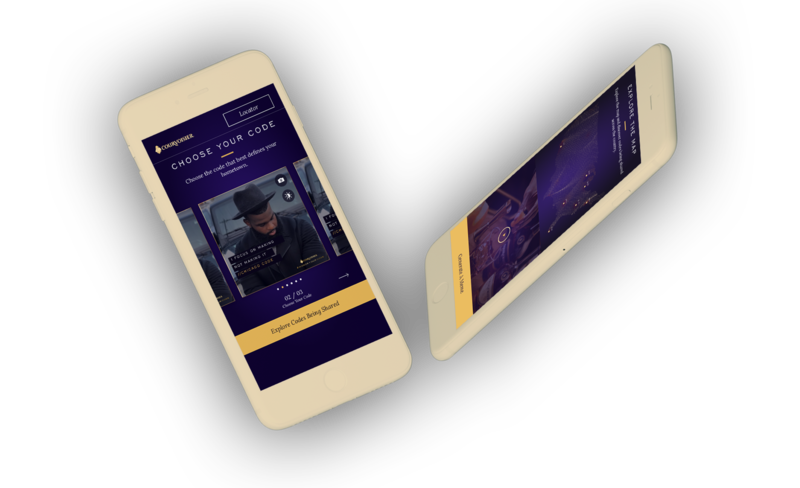 Videos and Instagram posts display in a scrolling, digestible way users have become accustomed to. 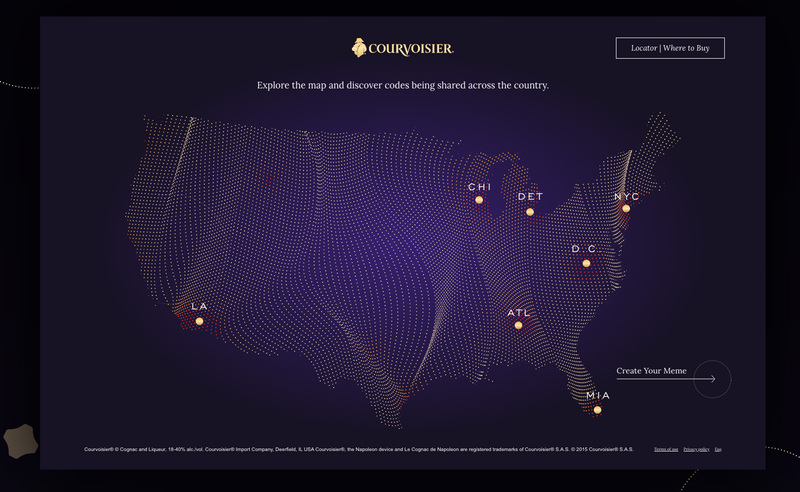 The site also features age authentication and a product locator.